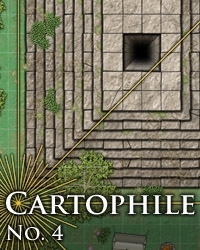 The six 6 x 9 tiles in this issue detail a large temple and the attached housing for the acolytes. 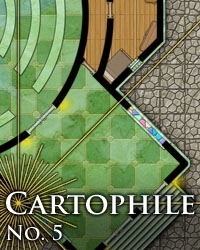 Features include a marble tiled floor in the narthex and chapel, a raised dais with altars, marble seating, and fully furnished living spaces. 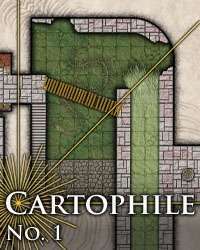 Alternate tiles connect this set to the Harbor and Warehouse sets of e-Adventure Tiles. 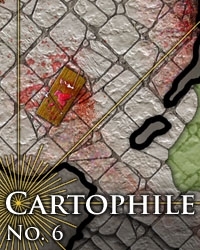 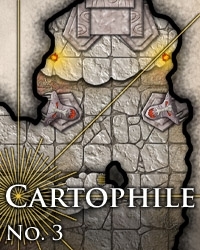 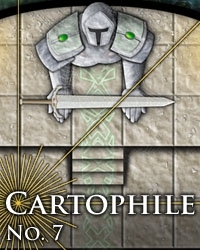 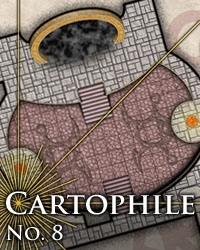 Each issue of Cartophile contains the tiles to build a unique miniatures-scale encounter area that is compatible with e-Adventure Tiles and a full page map that can be used to inspire an adventure or encounter. 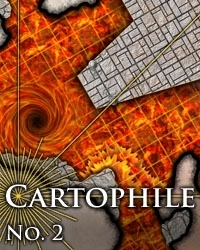 Although the tiles in Cartophile are not modular, they present the opportunity to create scenes that would not be able to be done with e-Adventure Tiles.